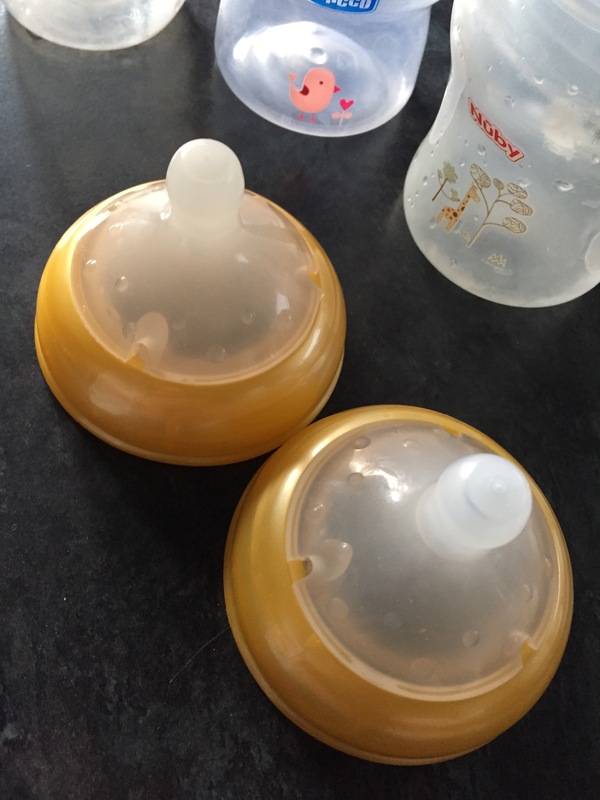 Why do feeding bottles go cloudy? Why does plastic go cloudy? It’s a question that’s on my mind when I sterilise Emily’s bottles. Turns out it’s to do with the deposits of minerals on the surface that stick there because of the intense heat from the sterilisation and quick drying methods. And it can also do with how hard your water is. White vinegar: Soak your baby’s bottles in two equal parts of drinking water and white vinegar, later rinse with cold water. This trick is known to help disappear stains and eliminate odours. Be sure that you thoroughly clean out the bottle after using vinegar in it so that it doesn’t curdle the milk or formula feed you fill it with later. Baking soda: If your baby is especially fond of juices, you will find this baking soda trick extremely helpful. Put baking soda with warm water in the bottle and clean it with a bottle brush. If you want to get rid of the sour milk smell, you can fill the bottle with warm water and add a teaspoon of baking soda. Let the bottle with the soda solution stand overnight and rinse and wash thoroughly the next day. These 2 hacks can help clean your bottles but don’t shoot the messenger if it doesn’t work for you. 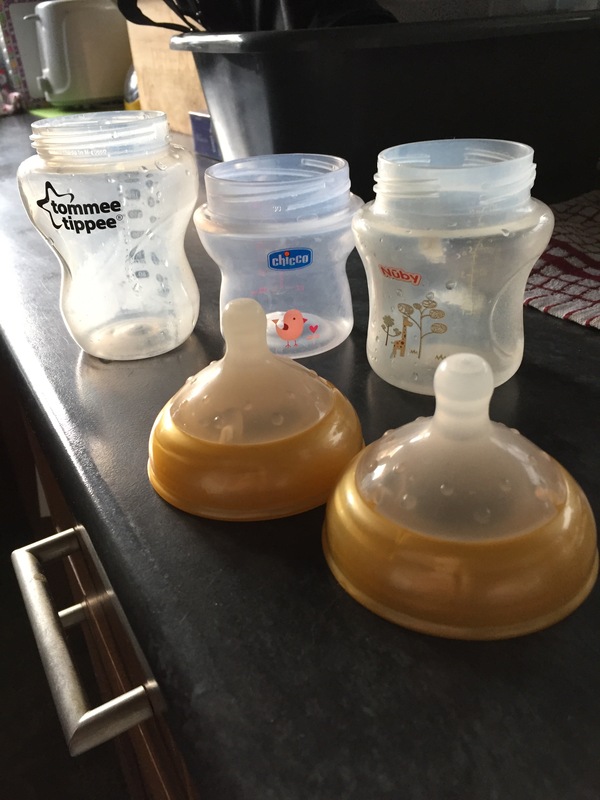 I’ve had 4 different style of feeding bottle and some clean better than others, I’ve no idea why it could be down to the plastic each brand uses. Have a try yourself and see for yourself.